Welcome to the flurry of activity world of Dextroid. You are the commander and have to steer a red and green square through the world of spikes. 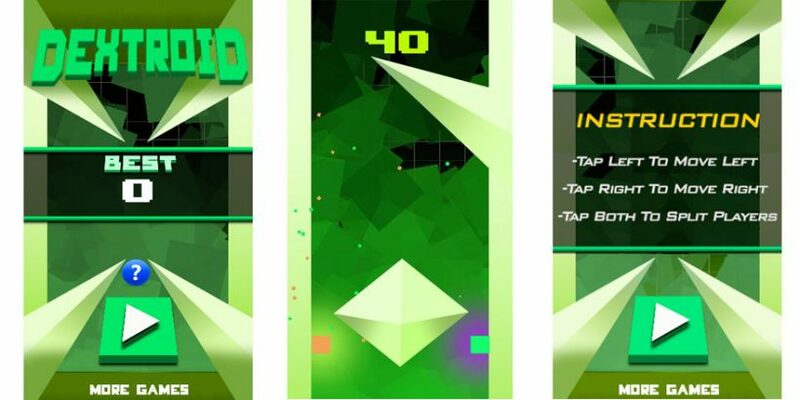 Your only objective is to reach the high score by avoiding all obstacles or your lost. Navigate by tapping the left region of your device to move left or the right region to move right. To move the red and green square apart tap left and right simultaneously. Sounds easy and is easy to learn – but very very hard to master! How many points you can get?